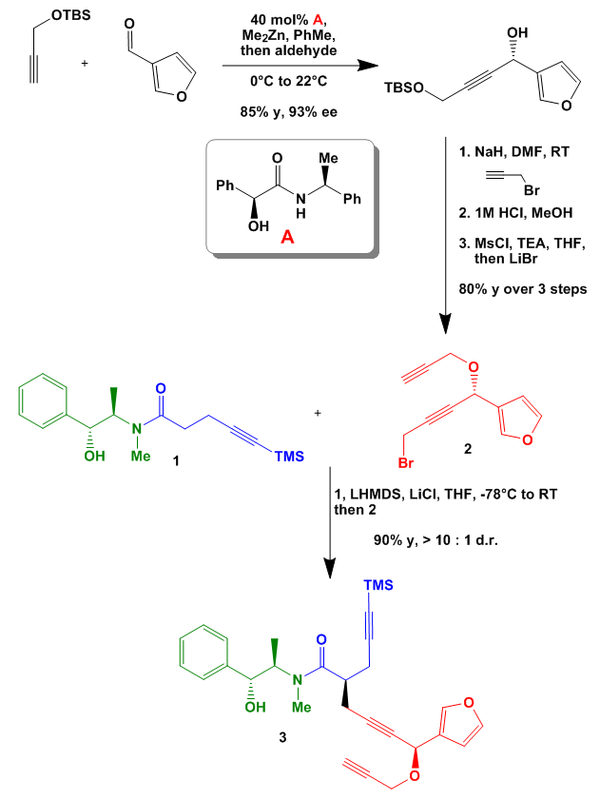 As mentioned above the first step is a palladium catalysed cyclopropanation, which is the main investigation in this paper, followed by a vinylcyclopropane/cyclopentene rearrangement (VCP-CP) to give the cis-fused 5/6 ring system. 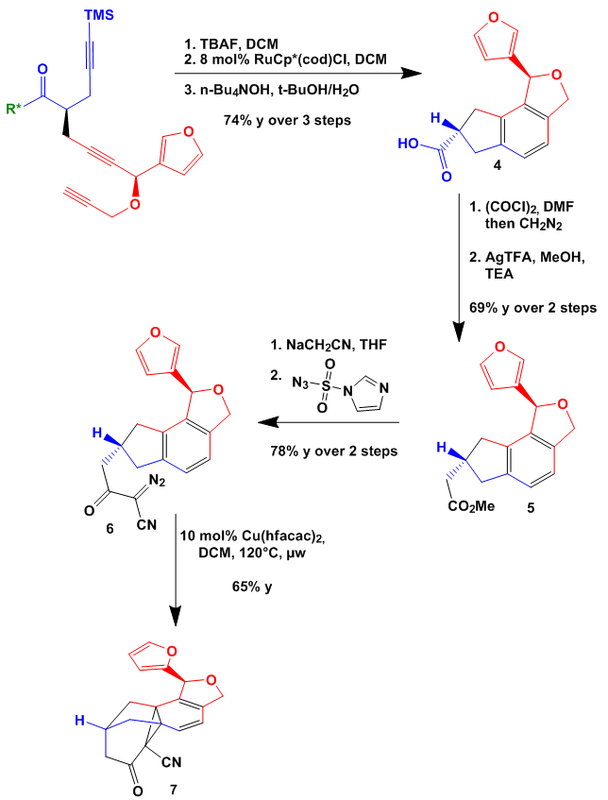 The main drawback with this methodology is the need for a double substituted α-C to increase the yield and to prevent the above mentioned oxidation. Without these substituents the yield dropped to 52% (compound 3) but with complex starting materials the yield is still moderate (compound 4). 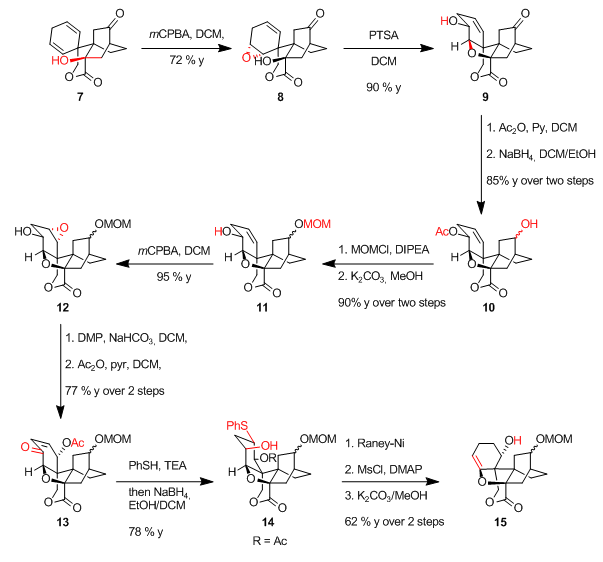 With these vinylcyclopropanes in hand a MgI2 induced ring opening/ring closure reaction was used to convert the cyclopropane to a cyclopentene. 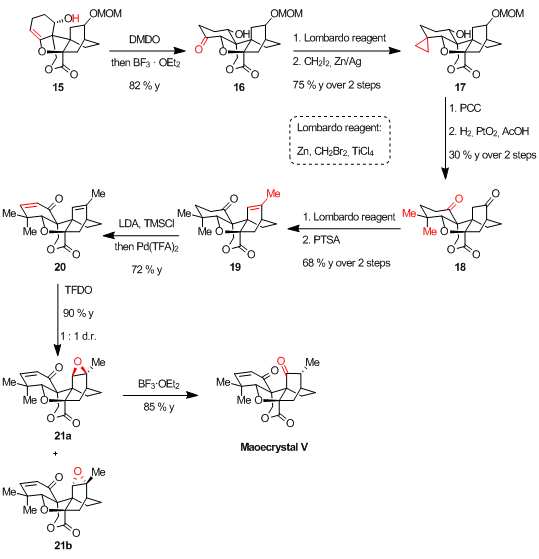 The Lewis acidic MgI2 attacks the acetyl acetate moiety and releases an iodide. 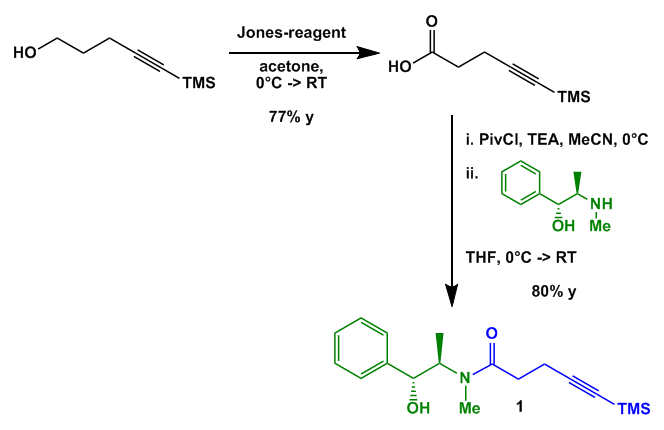 This opens the cyclopropane on reaction with the terminal alkene in a concerted or stepwise manner to give the allyl iodide. 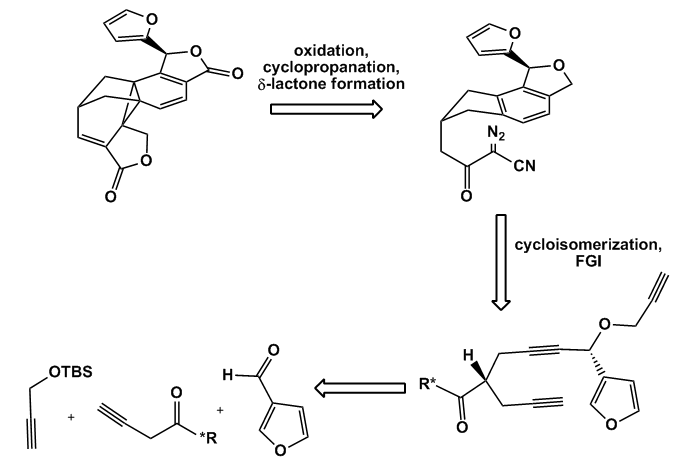 A SN2 reaction of the enolate closes the ring again to give this time the thermodynamically favoured cyclopentene. This process gives generally good yields in contrast to the varying yield of the first step. Some examples were produced to test again the scope of the methodology. 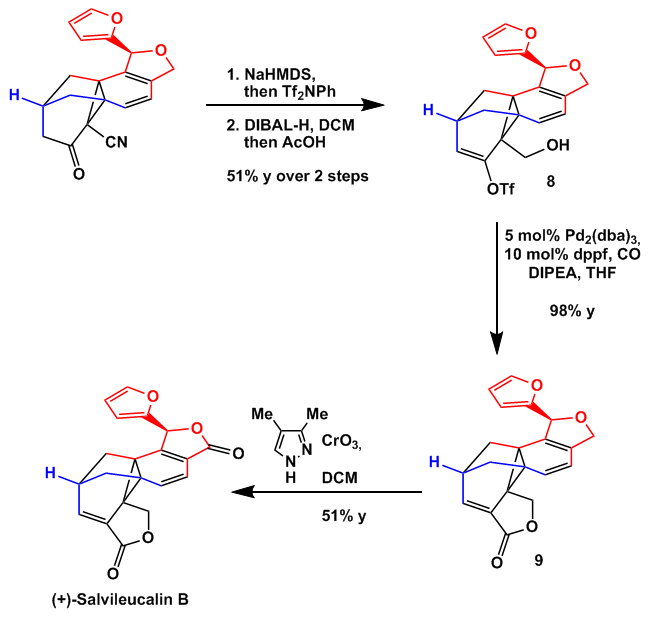 Currently the authors are working on a more general route to 1) extend the strategy to other nucleophilic moieties, 2) remove the need for gem-dimethyl blocking group, and 3) running the two reactions in one pot. Maybe by using a chiral Lewis acid it should be possible to increase the diastereomeric ratio? 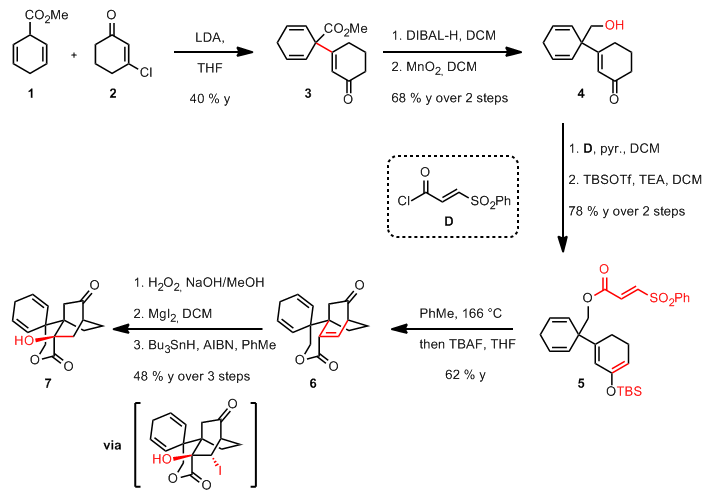 In conclusion I think that this methodology has a great potential and I am interested to see its first application in a total synthesis.